Buy 5 x Buckets @ only £17.35 each. Buy 10 x Buckets @ only £16.85 each. Please enquire for pallet rate. A feed and mineral supplement ideal for use at grass and with high forage rations where extra energy and protein are both required. Cattle: Offer ad lib, free-access 1 bucket (22.5kg) per 15 head of cattle or 1 x 80kg tub for up to 50 head of cattle. 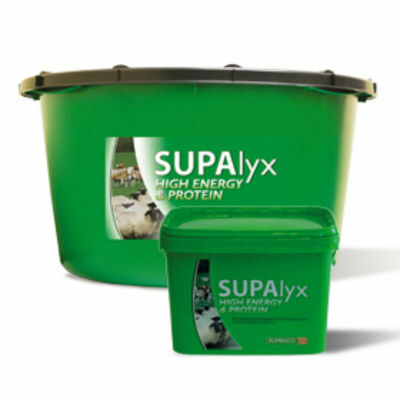 Sheep: Offer ad lib, free-access 1 bucket (22.5kg) per 35 head of sheep or 1 x 80kg tub for up to 90 head of sheep.